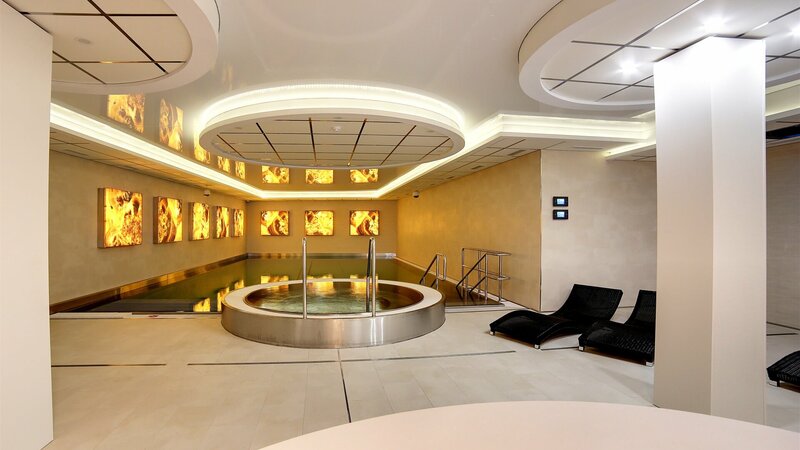 Wellness center Apollo offers a pool with several attractions, hot tub and three types of saunas. The whole center is open daily to all hotel guests without limits and free of charge. You may also visit the unique salt cave. 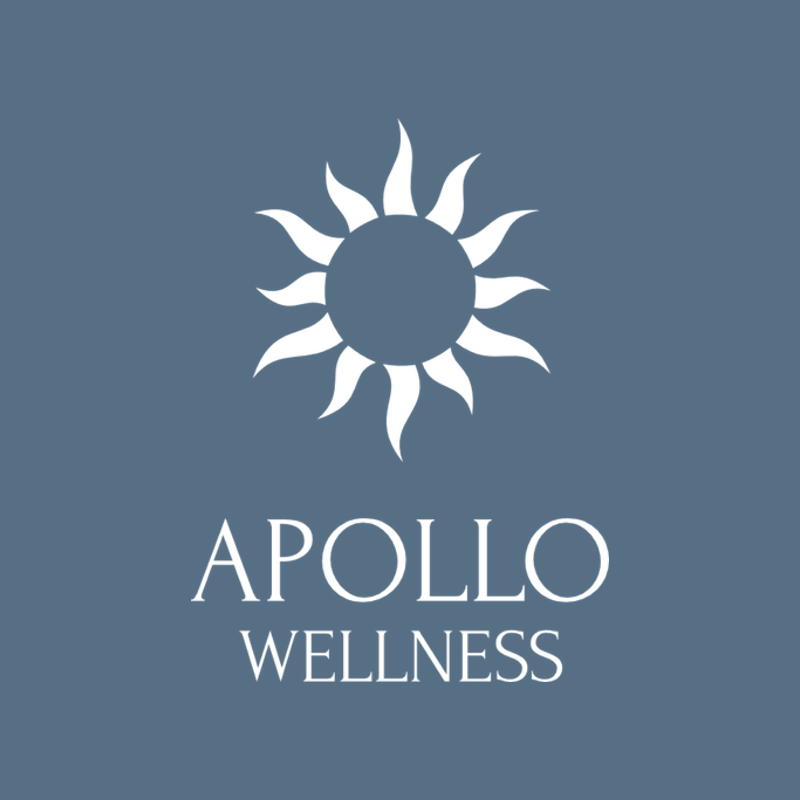 We named the center after the Greek and Roman God Apollo, who has power over the sea, light, sun, and healing. The name symbolically combines water, which accompanies guess throughout the center, and the sun, which is represented by backlit onyx panels along the pool. Part of the pool , which is 12x8x1.3 meters, we offer water attractions – freely regulated current, relaxing bubble benches, water volcano and massage hydro jets. Right by the pool is a hot tub for up to 6 people. Between individual sauna cycles the guests may relax on comfortable sun beds. Thousands of colors. Three saunas. One Relaxation. Sauna is a type of thermo therapy, a treatment method that utilizes the favorable effects of mild hyperthermia. A slight burden on the body strengthens immunity, slows aging and protects against diseases of civilization. Sauna improves blood circulation, strengthens the heart and ultimately has beneficial effects on the mindset. The temperature in the Finnish sauna, in comparison to a steam bath, is very high – 100 ° C, but the humidity is very low – about 15%. 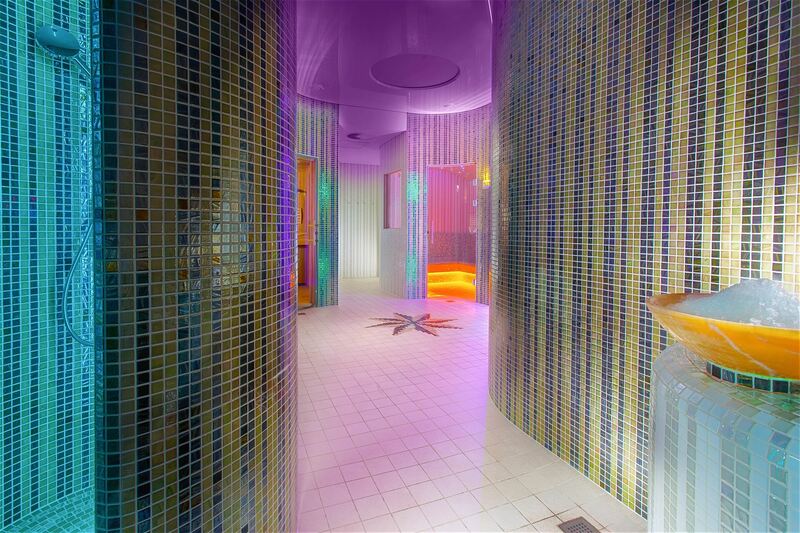 Turkish steam bath originated in Asia based on requirements for body cleansing. Regeneration and cleansing is done with steam. 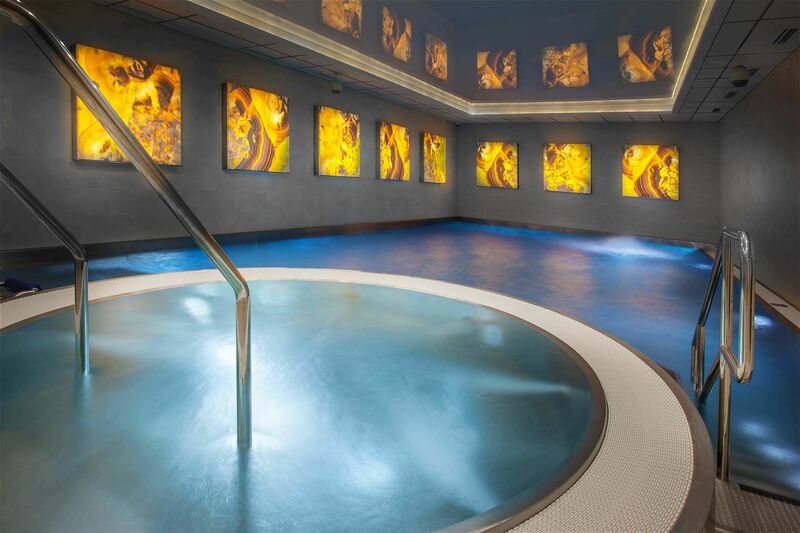 In the Turkish spa, which has similar effects to a “dry” sauna, you will already sweat around 50 degrees. 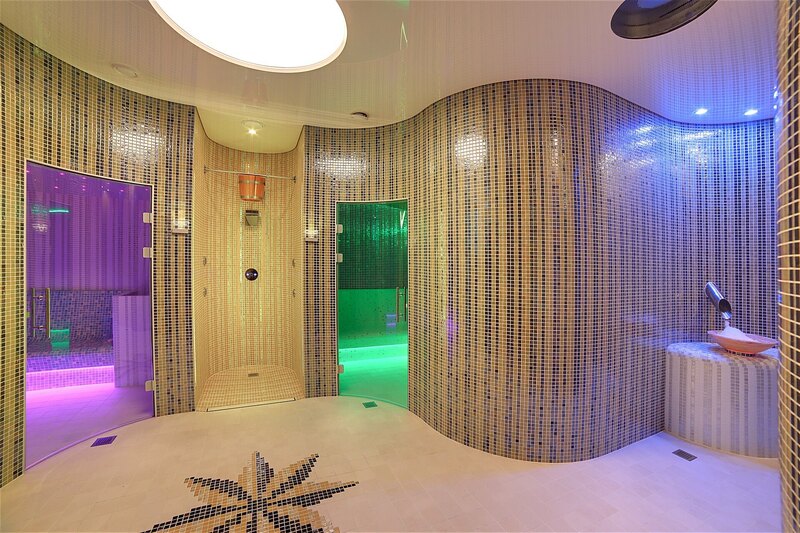 This sauna method is more sparing than classic sauna and therefore suitable for the elderly and children. The air is up to 100% more humid. This has a beneficial effect on skin. It cleanses and supports its elasticity. Steam can also rid the organism of up to 30% of accumulated toxins. Moist air also has a very positive effect on the airways. 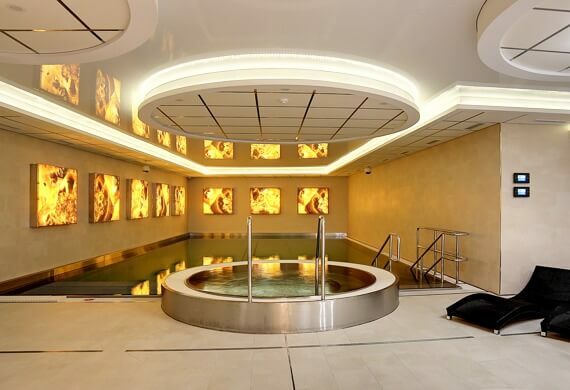 The best effects of steam bath are improvement of organism blood circulation and release muscle tension and spasms. Stimulates the blood circulation in whole body, calms the nervous system, thereby releases the mental stress and mental fatigue is gone. 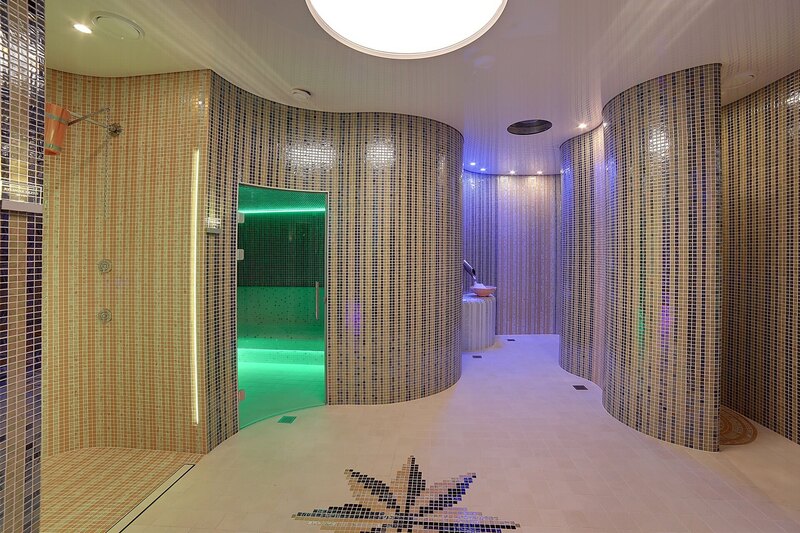 Herbal sauna with a temperature of 65 ° C and 45% humidity relieves stiffness, heaviness and cold, induces good sleep. Used aromatic fragrance perfectly calms the mind and help restore energy after physical exertion. 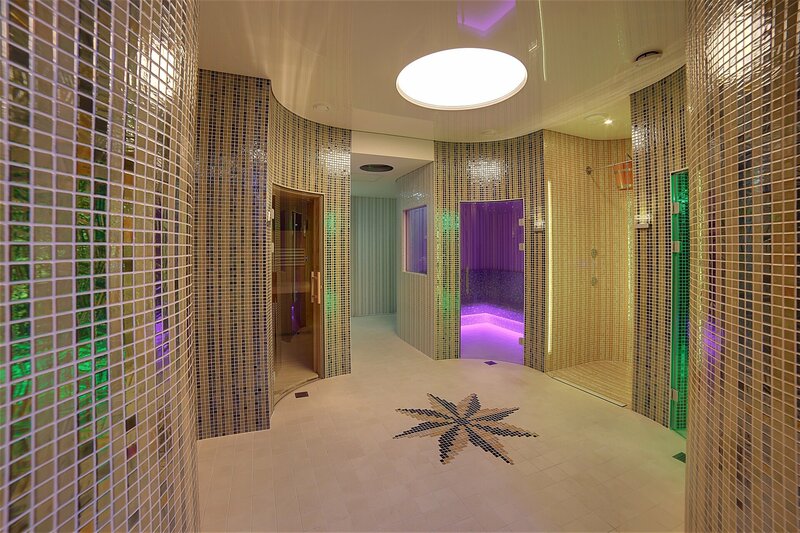 Herbal sauna offers a way to thoroughly cleanse your body. Dissolve toxic substances in the lymphatic system. Solves Chronic acidity of the body, and simultaneously optimizes and stimulates digestion, increasing its defenses. There is the specific microclimate in the salt cave similar to beach. 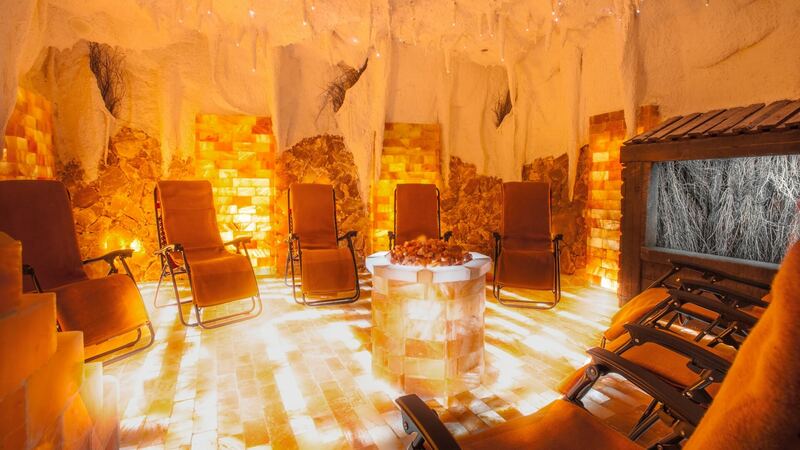 During you stay in the salt cave you inhalate microelements containing minerals and trace elements that are essential for the right operation of the human body. One visit to the salt cave is same as 2-3 days on the beach by the sea. 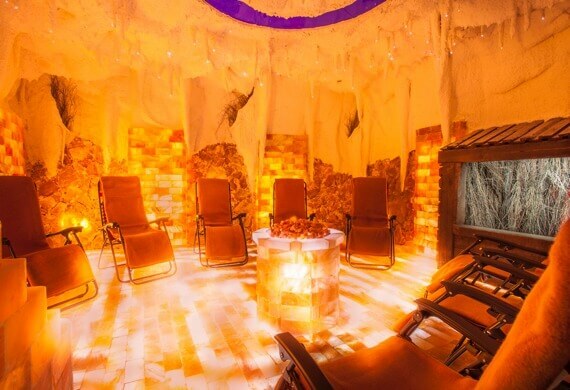 Time spend in the salt cave helps for recurring inflammation of the upper respiratory tract and bronchial tubes, helps recovery after lung inflammations and other diseases of the respiratory system such as bronchial asthma. Furthermore, it has beneficial effect for allergic skin diseases (atopic eczema) or psoriasis. Time spend in the salt cave also helps in inflammation of the nasal cavities, for high blood pressure and certain diseases of the heart and blood vessels. Salt cave was built entirely from Himalaya’s salt bricks and stones. 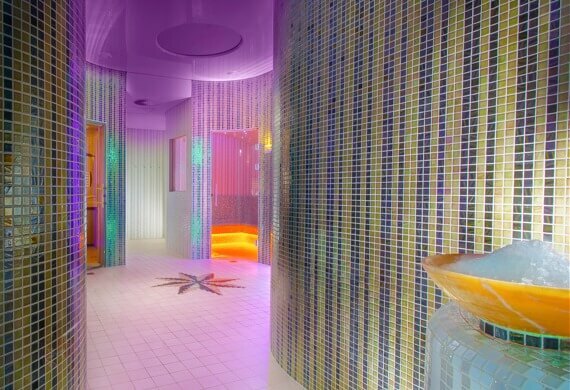 In a luxurious environment with changing colours, the waterfall and the starry sky above your head you will forget the everyday worries and will enhance your health. Is freezing outside? Come to gym for cardio! Cardio exercise is physical activity with a relatively low intensity, which can be done over a longer period and in final effect increases the heart rate. 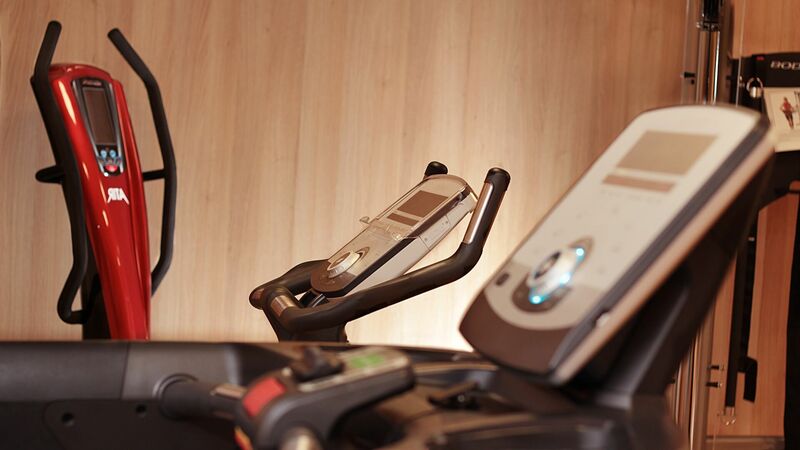 It is usual daily movement, but due to cardio machines, you can do it more intensive. 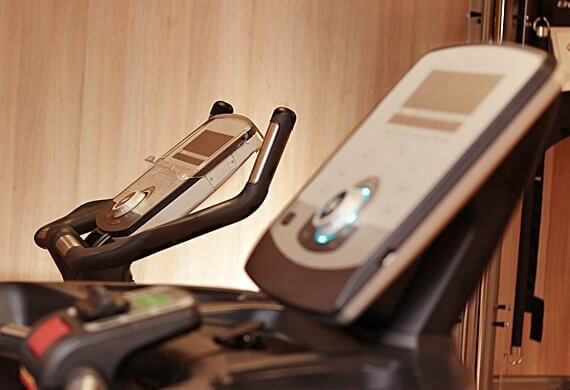 Cardio machines are ideal for strengthening and exercising muscles throughout the whole body. They are suitable for the initial phase of the training on the reduction of skin fat and can serve as useful tool to all sports or simplify body warm up before exercise, so you prevent any possible injury. Preferably, fitness is the best for increase the lungs vital capacity, body become well oxygenated. Another benefit is the availability of activity without regard to weather.